Langestraat 36, 8370 Blankenberge, Belgium. 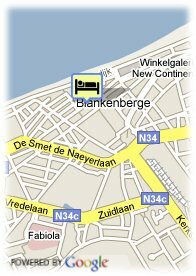 The Pantheon Palace in Blankenberge is a four star hotel, offering you every comfort to make your stay in Blankenberge most enjoyable. The hotel has 28 modern rooms, equipped with direct-dial telephone, remote control flatscreen TV, internet connection, airconditioning, safe, minibar,... Every hotelroom has a spacious bathroom with bath, 'rain'shower and hairdryer. 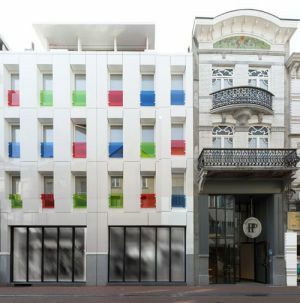 The Pantheon Palace hotel is located in the center of Blankenberge only 100m from the sea-front and beach. Beach, Near trainstation, Centre, Harbour, Museum Area, Near subway / tramstation, Near shopping centre. Children less than 6 years and more than 2 year(s) old: 10.00 € for each additional bed. Our restaurant De Kotee Jardin has an excellent cuisine, you can choose to dine à la carte or make a choice between half or full board. Every month we present you a new three course choice menu in our hotel.